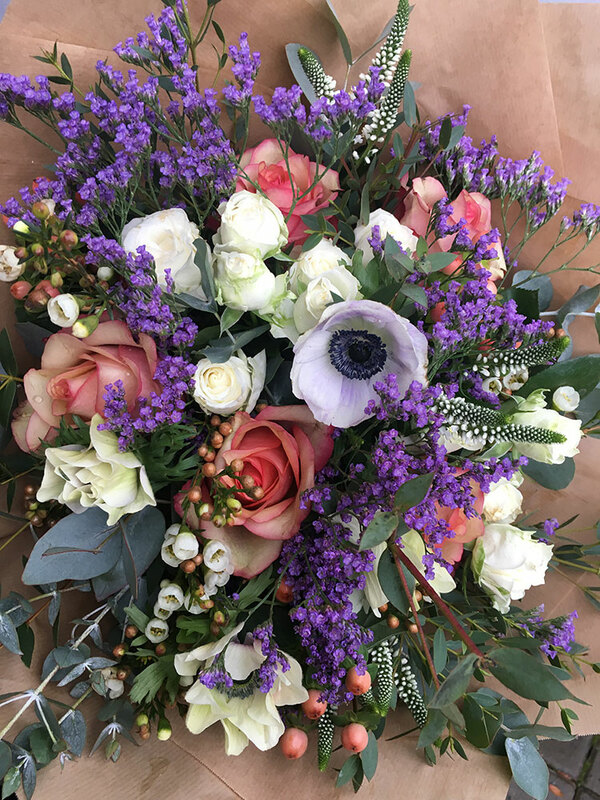 Bouquets start from £30. 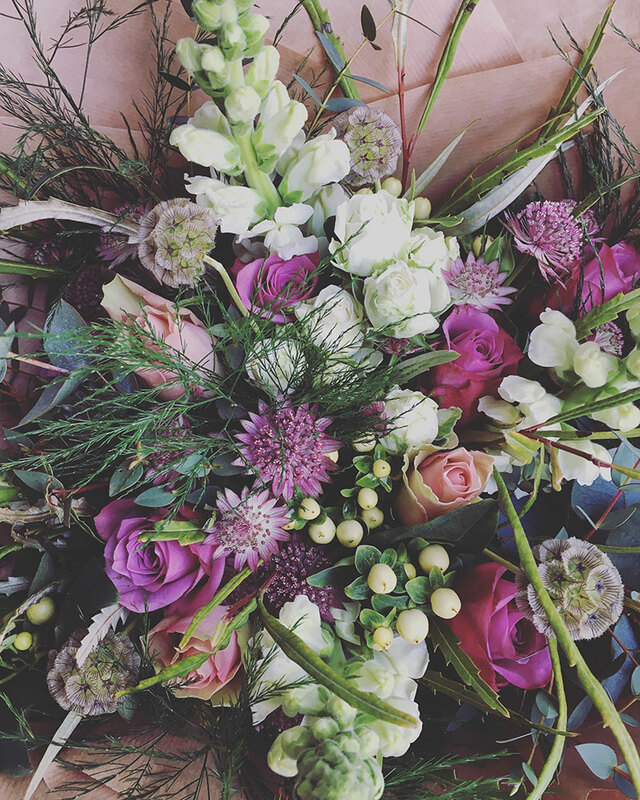 We do not offer a set type of bouquet, but you can see from our images, our style. 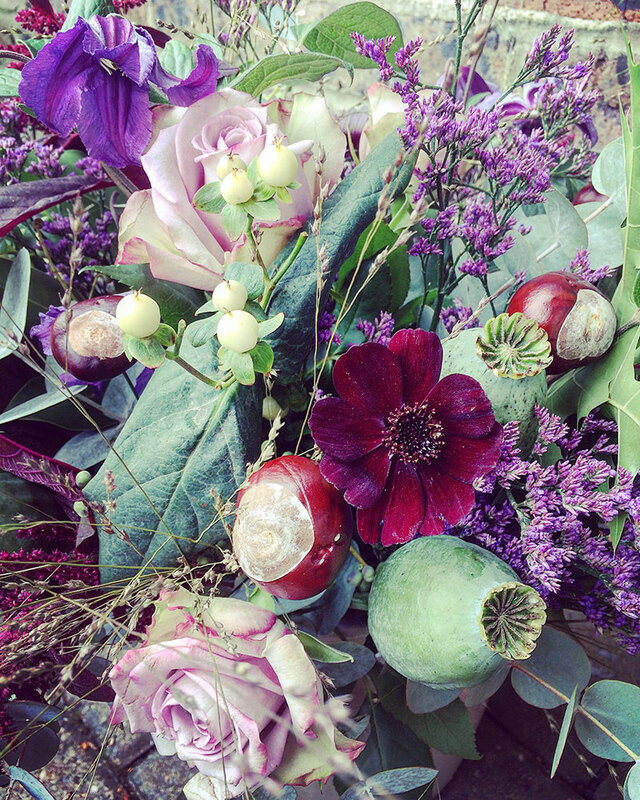 The designs are produced using seasonal flowers and appropriate colour to time of year and occasion. 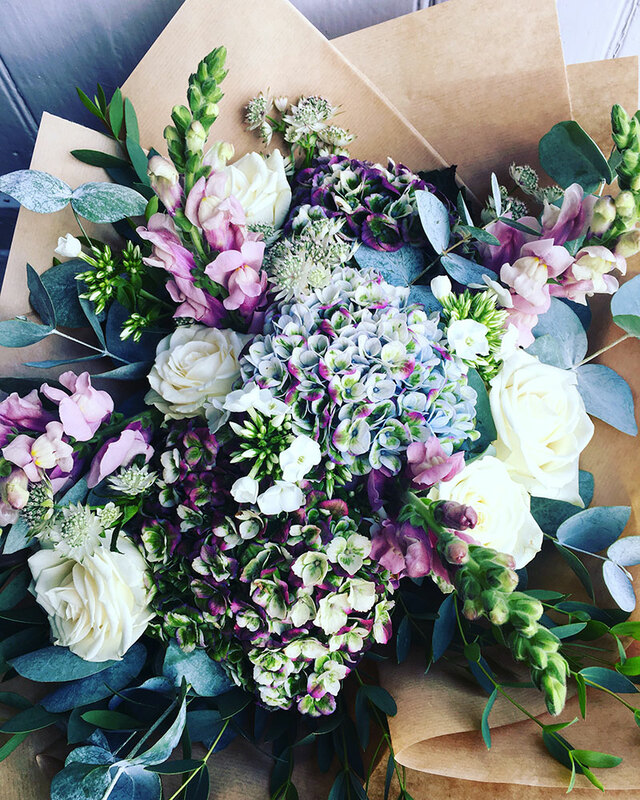 Bouquets are delivered wrapped in brown paper, aqua packed with water in a long handled bag. 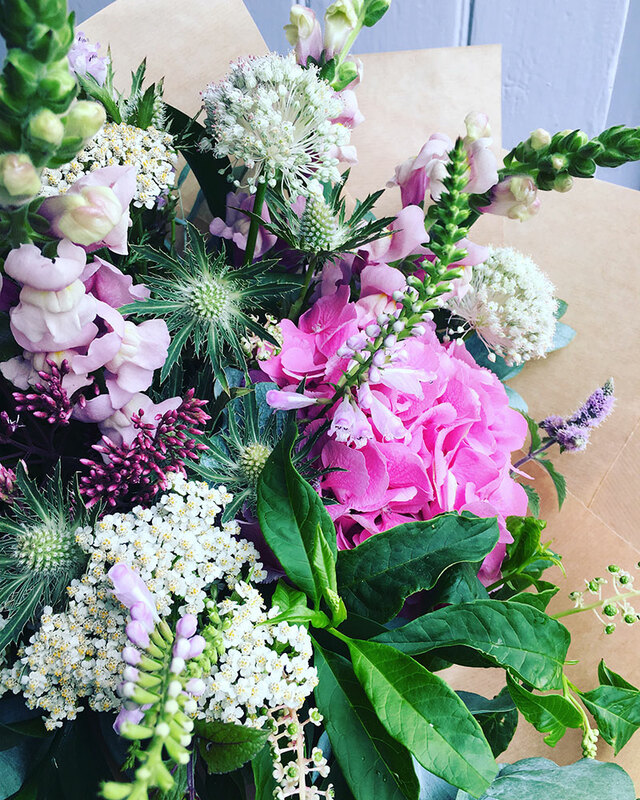 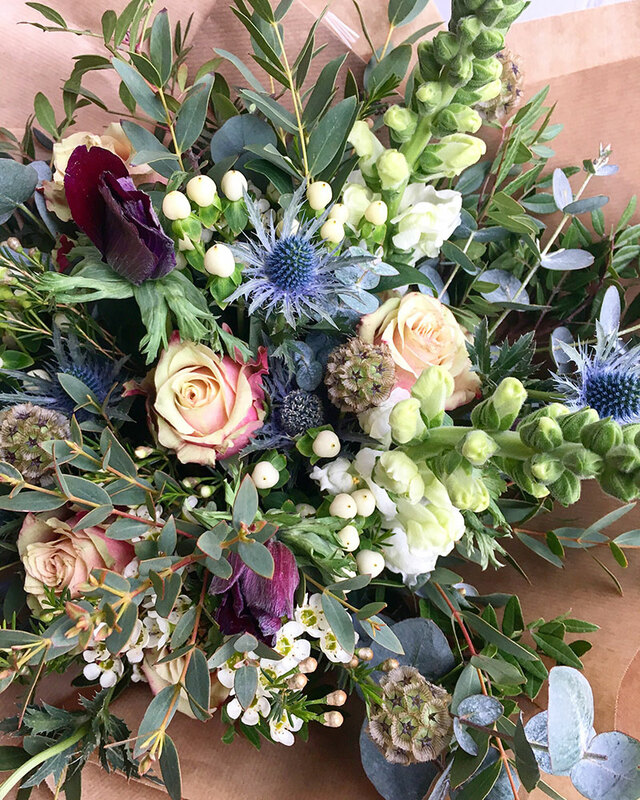 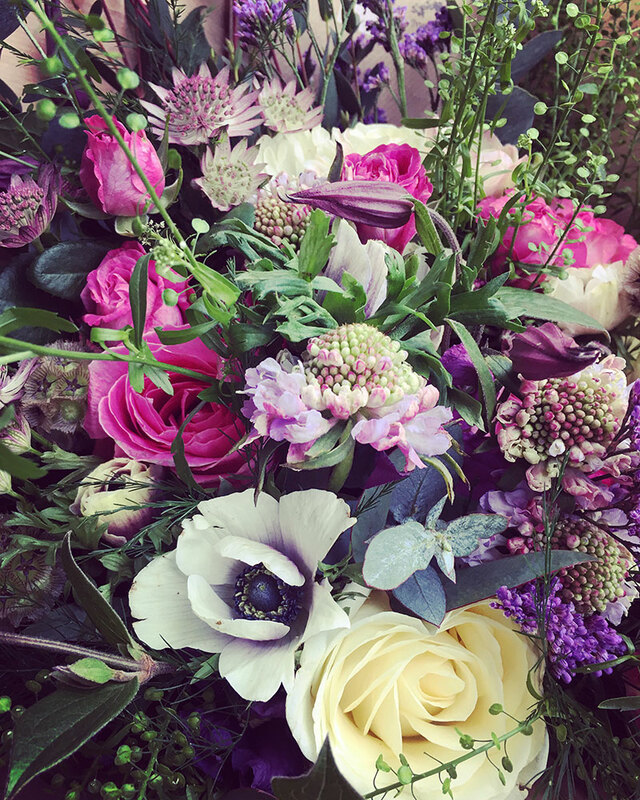 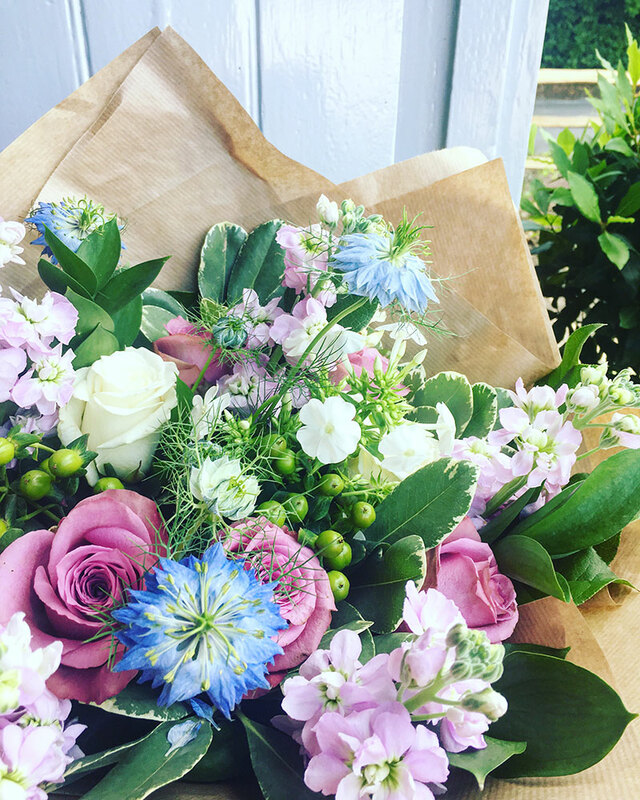 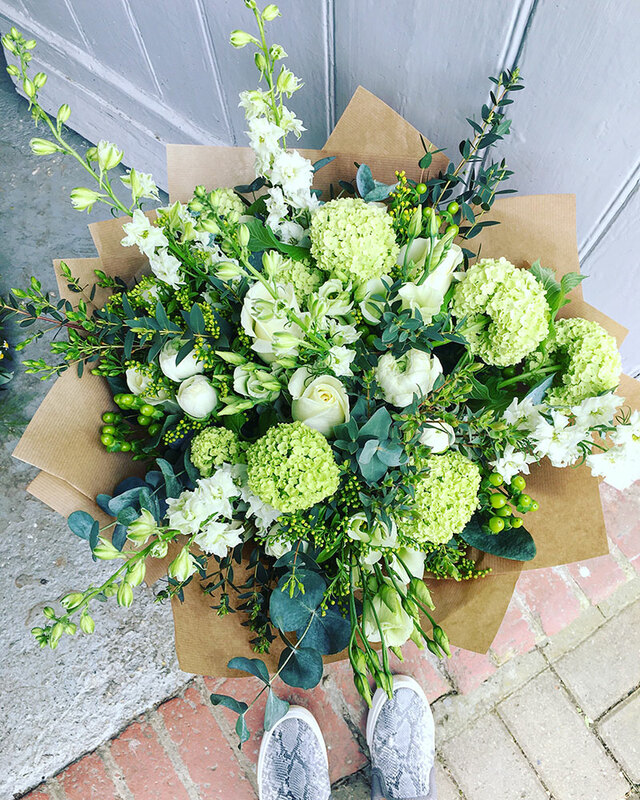 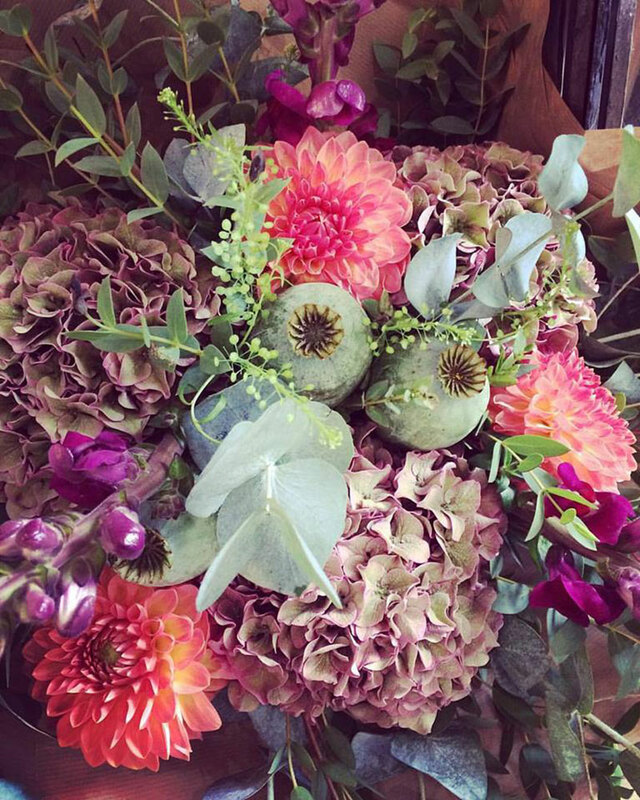 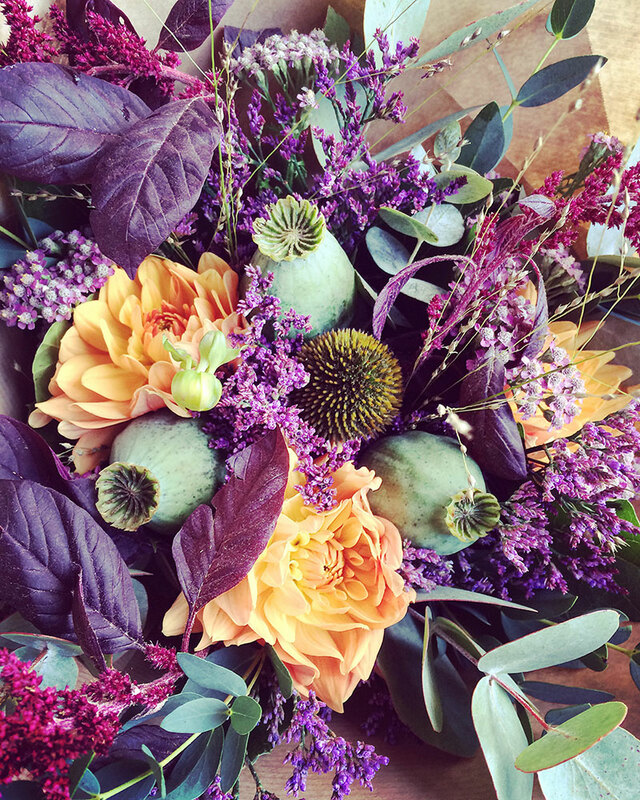 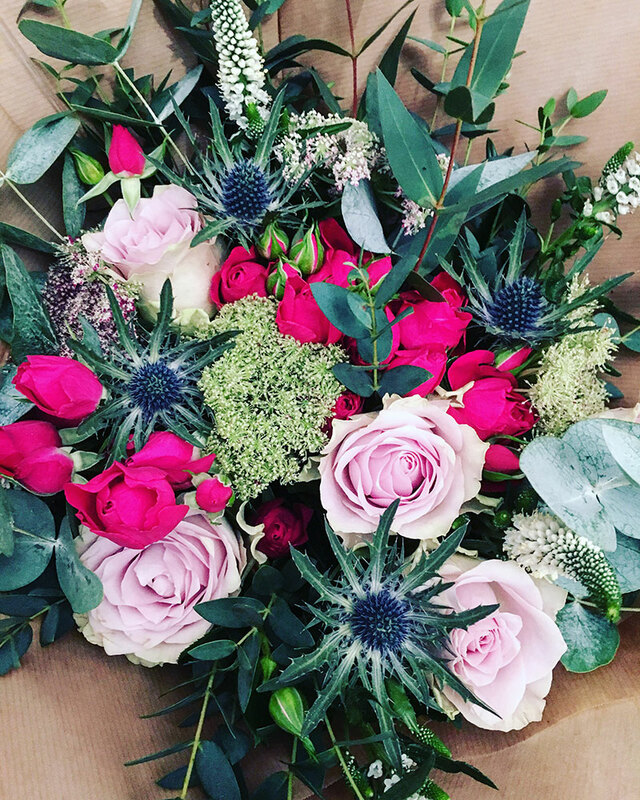 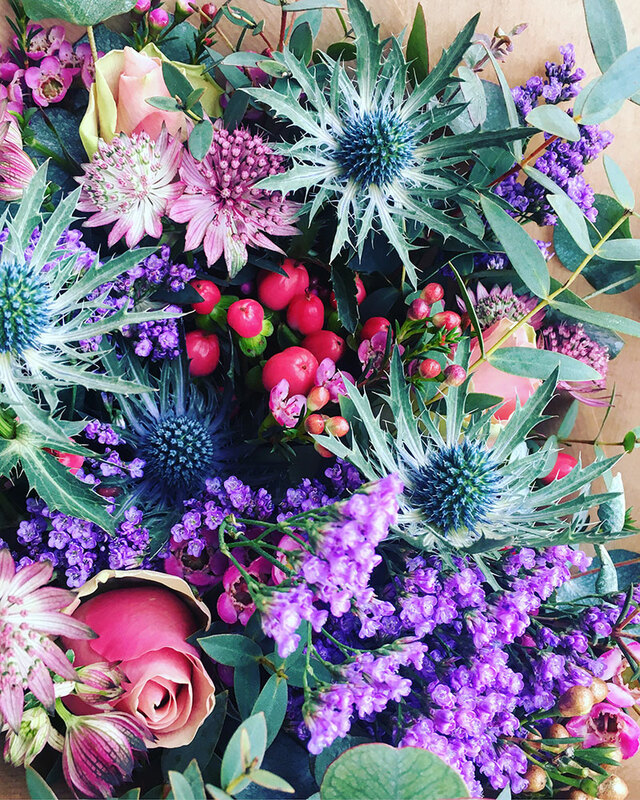 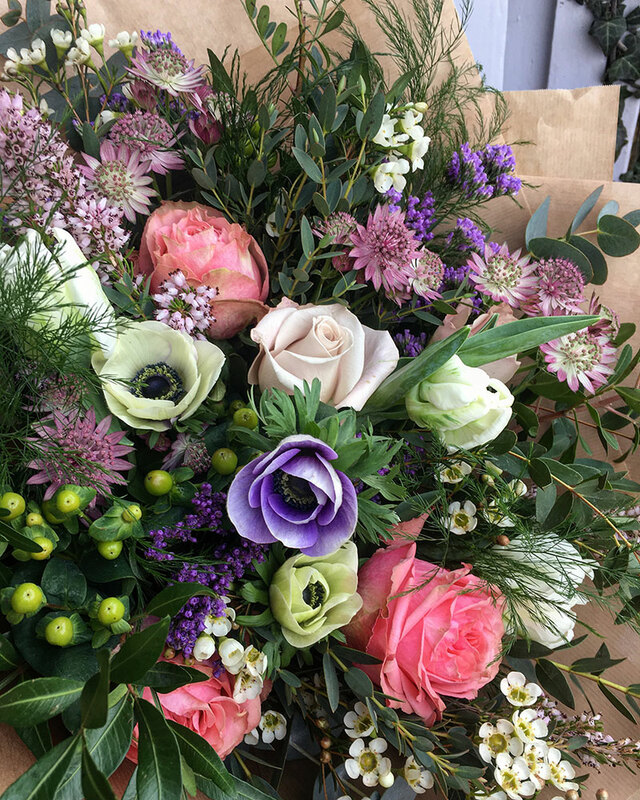 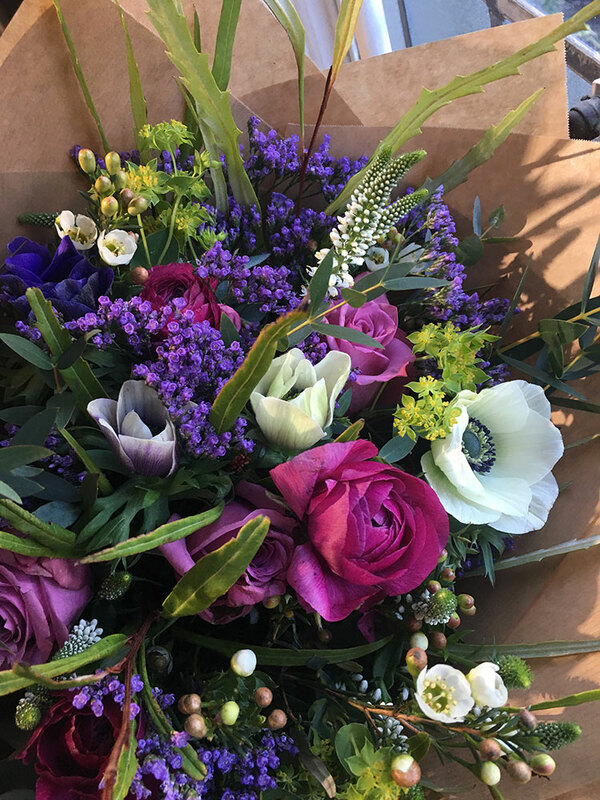 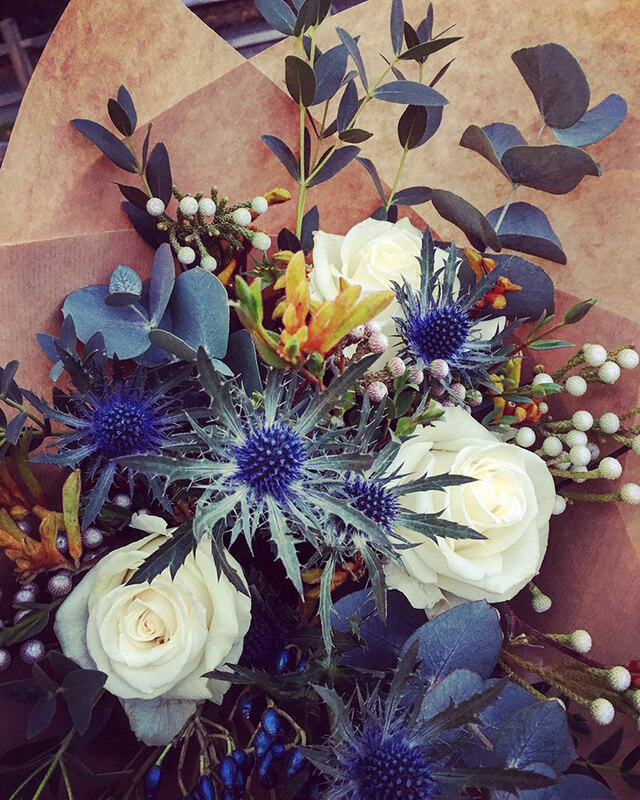 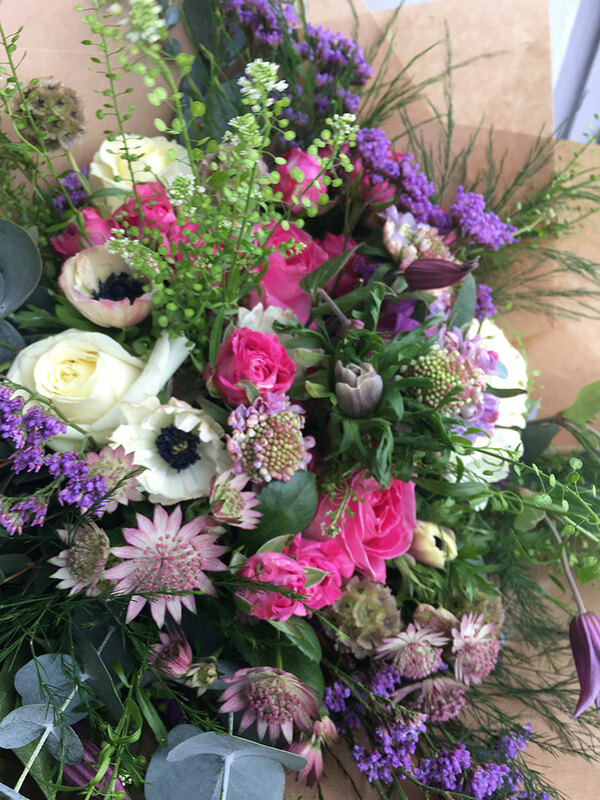 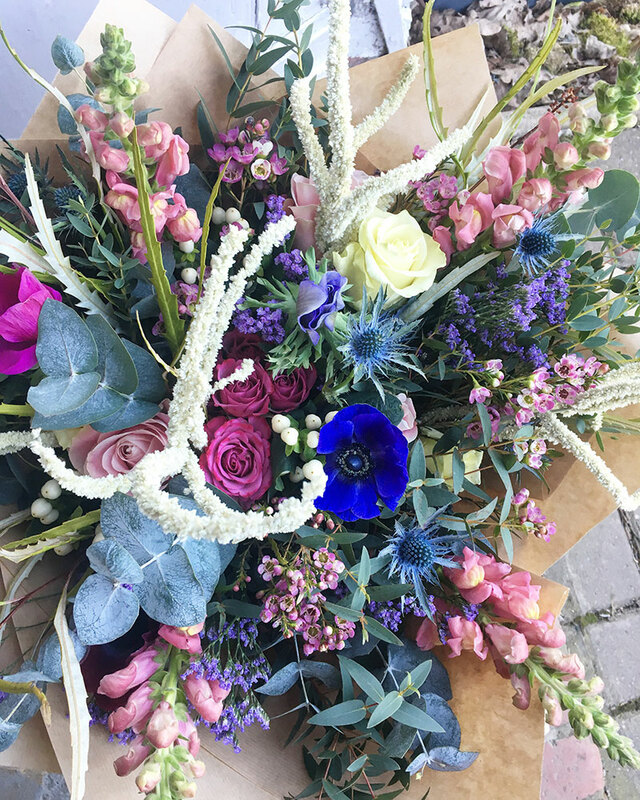 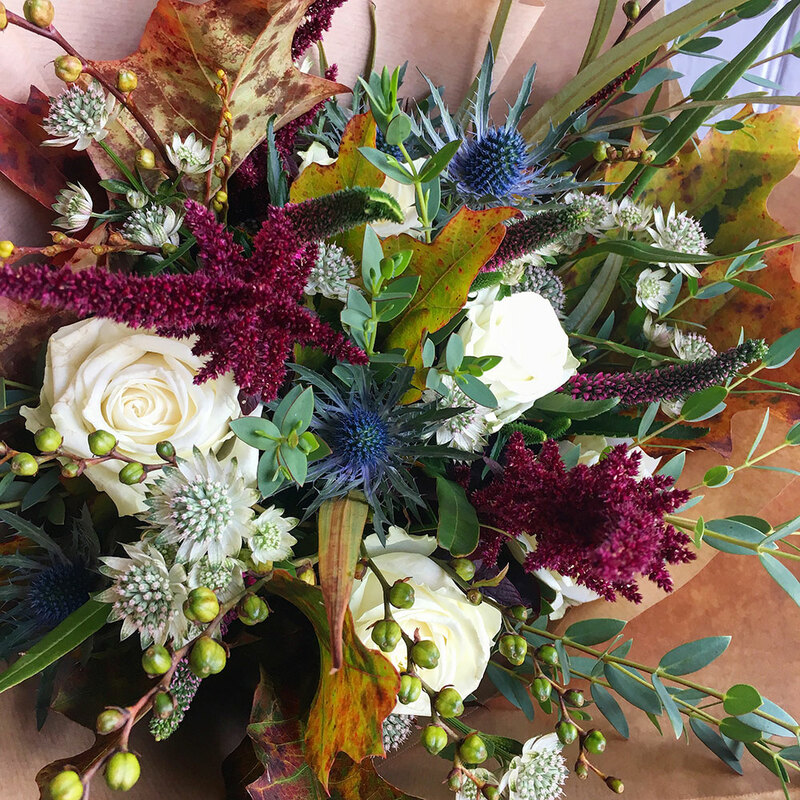 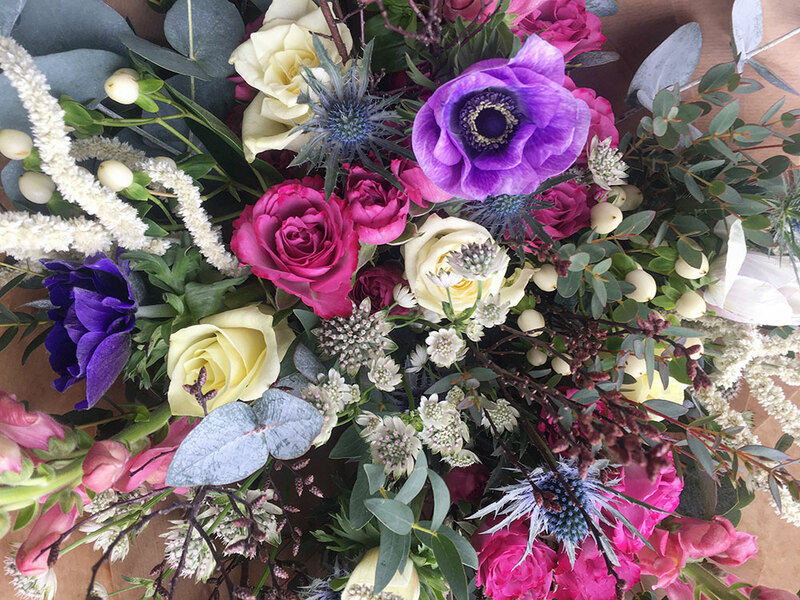 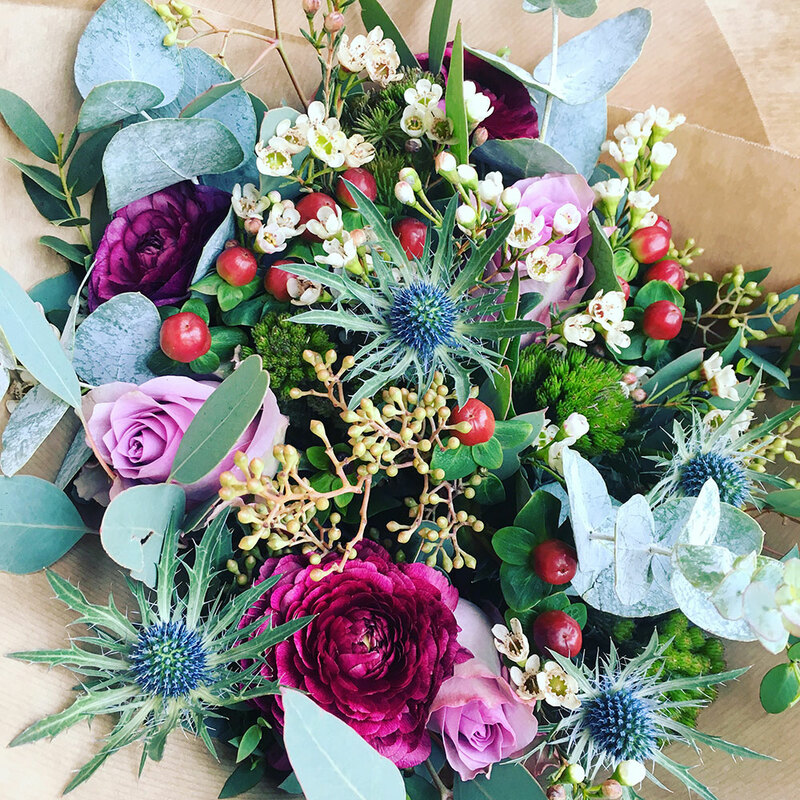 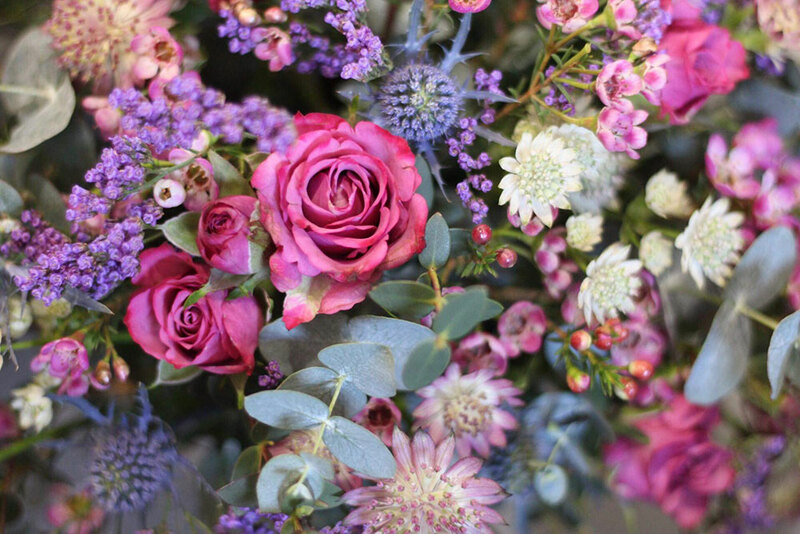 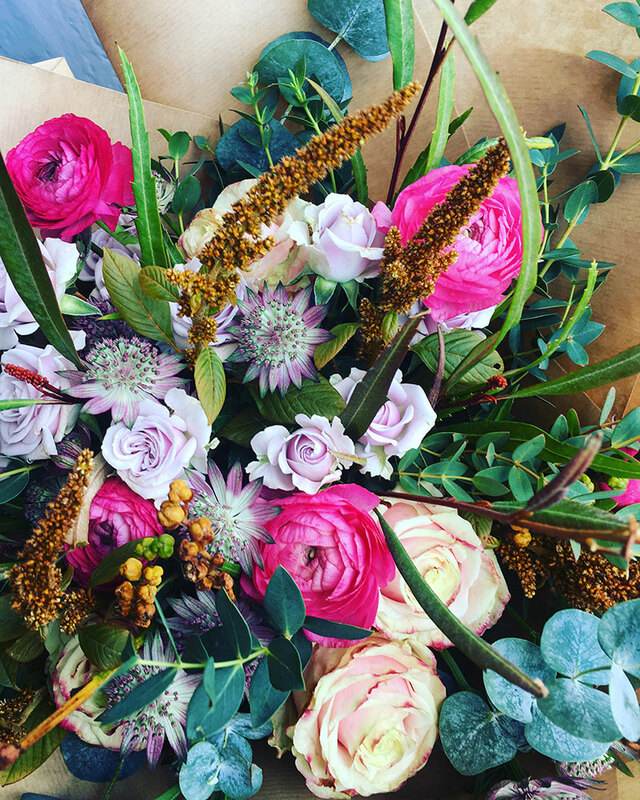 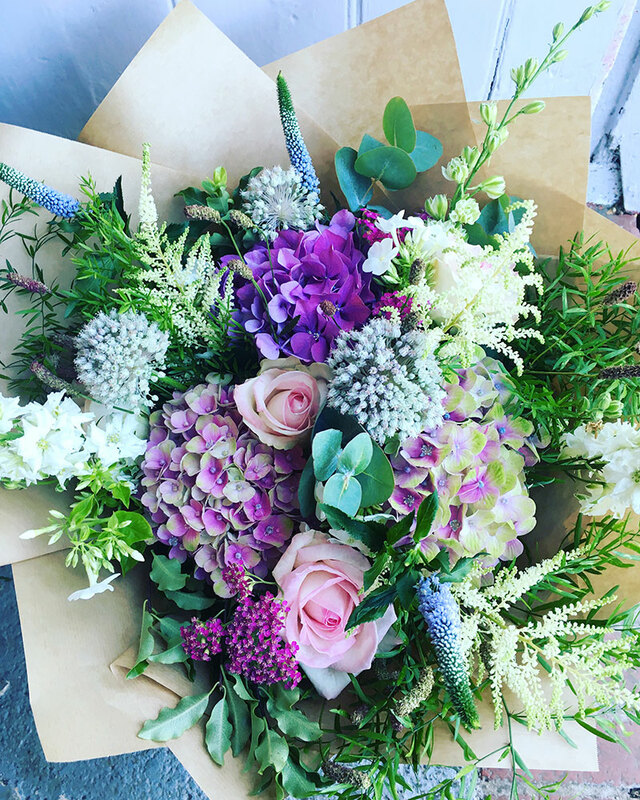 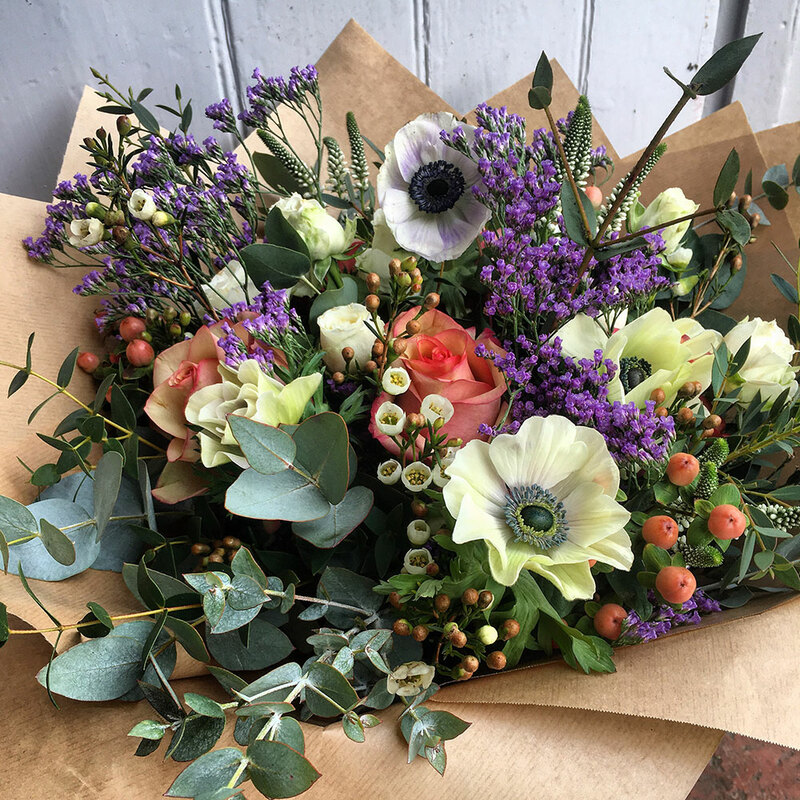 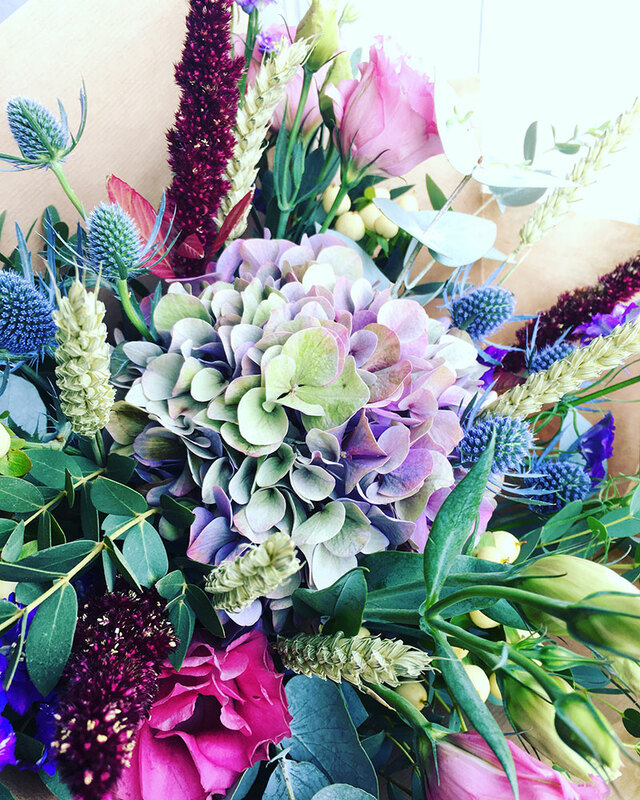 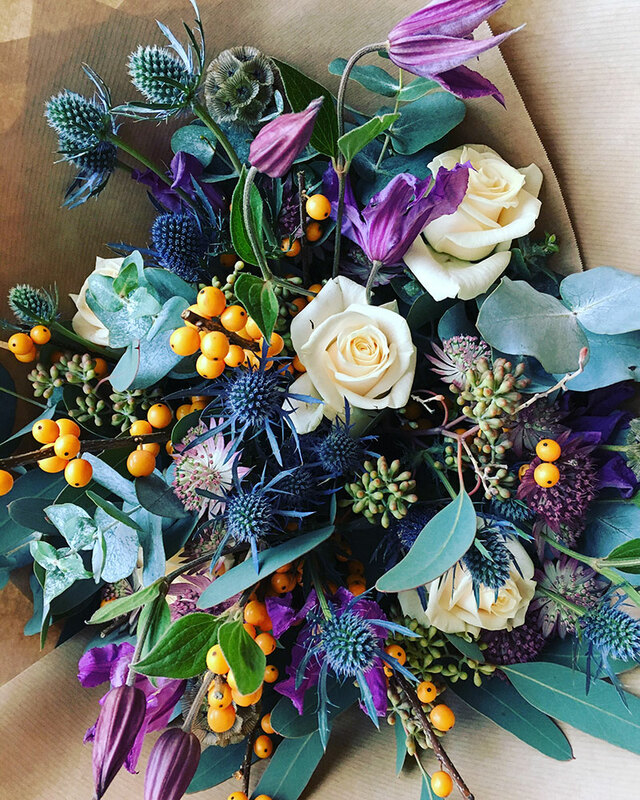 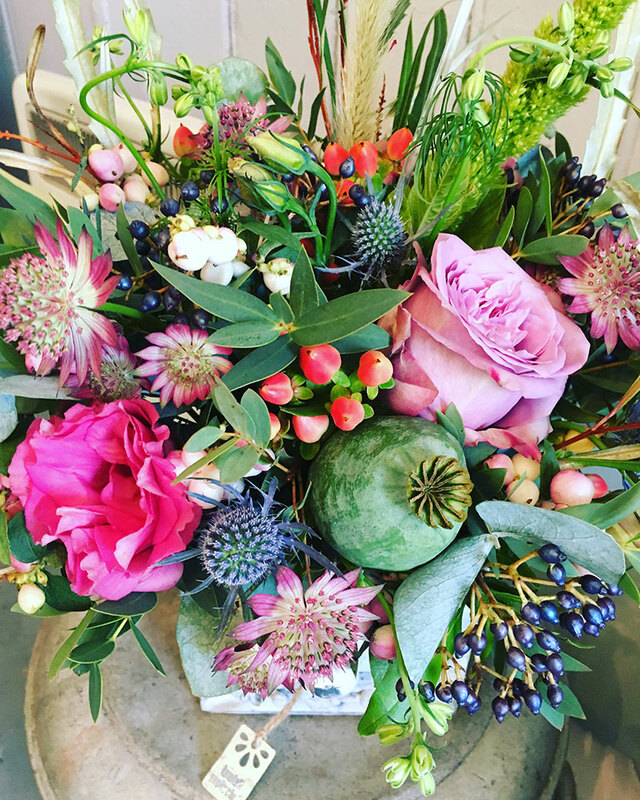 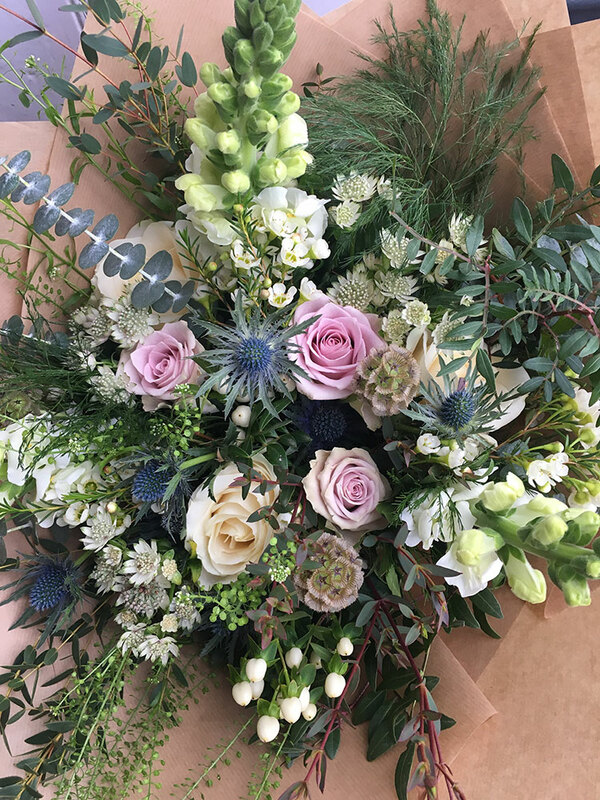 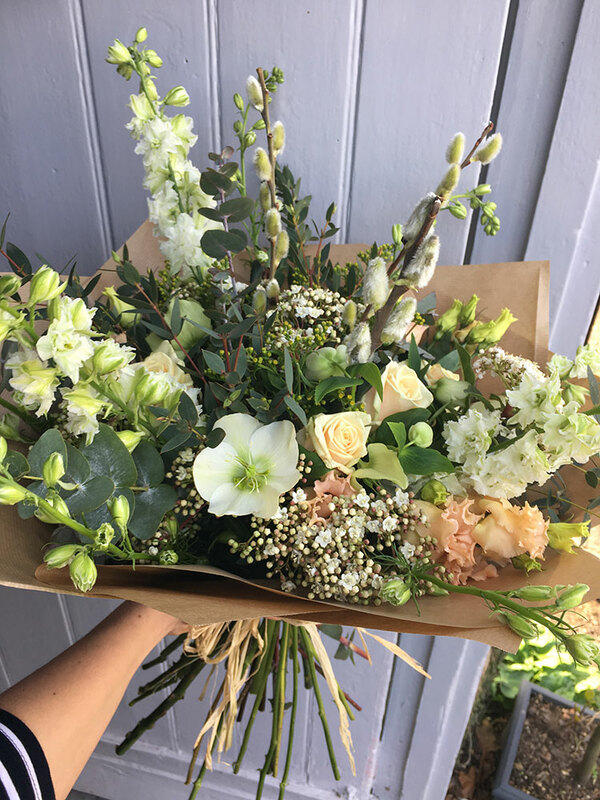 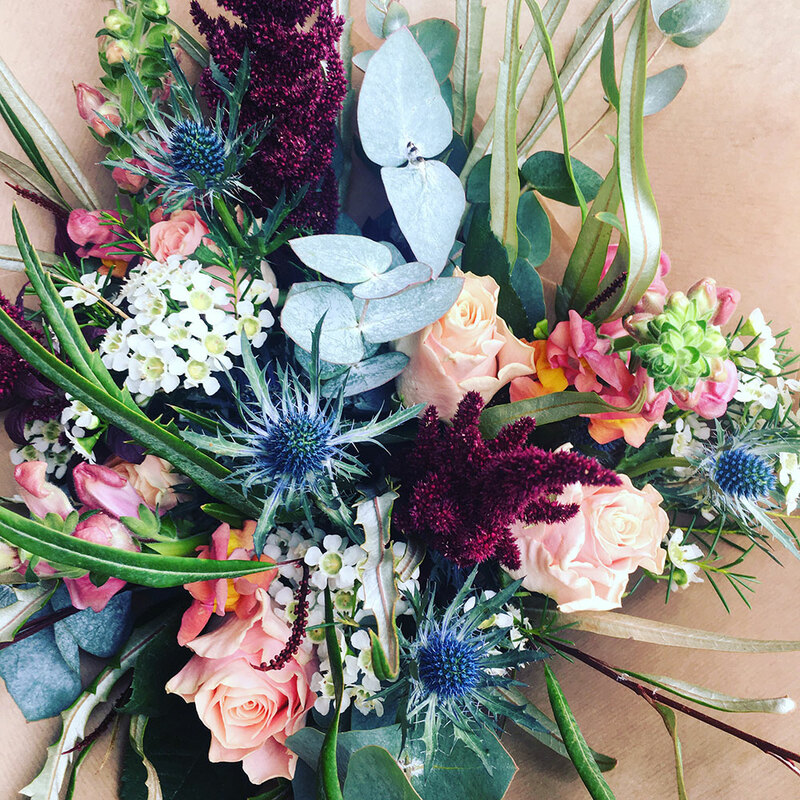 We also offer a ‘Flower Subscription’ service – for the person who has it all! 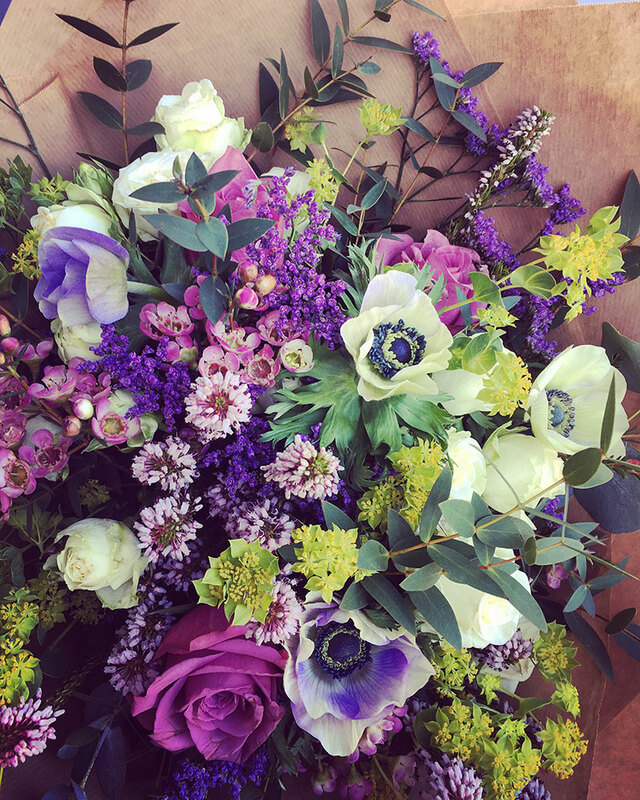 Choose the dates you would like the bouquet delivered to the recipient and leave the rest to us. 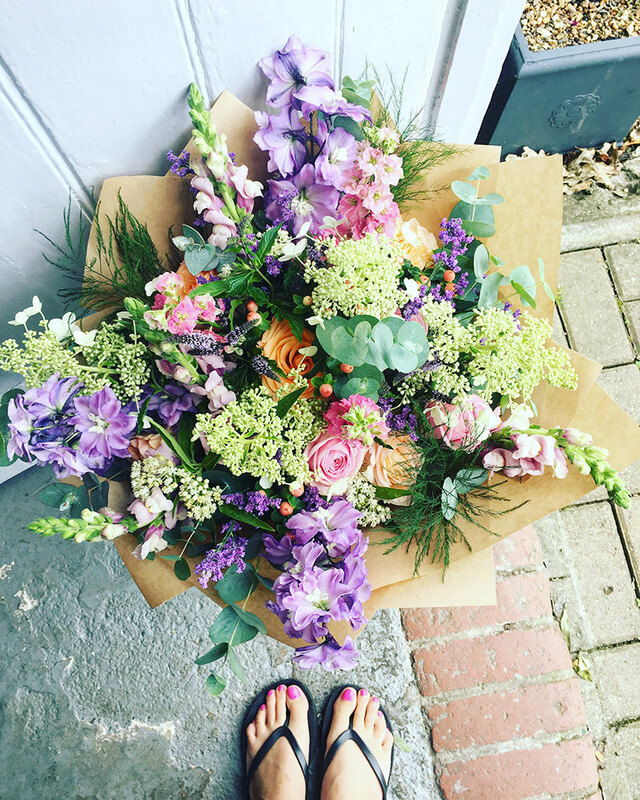 Please visit our online Shop.